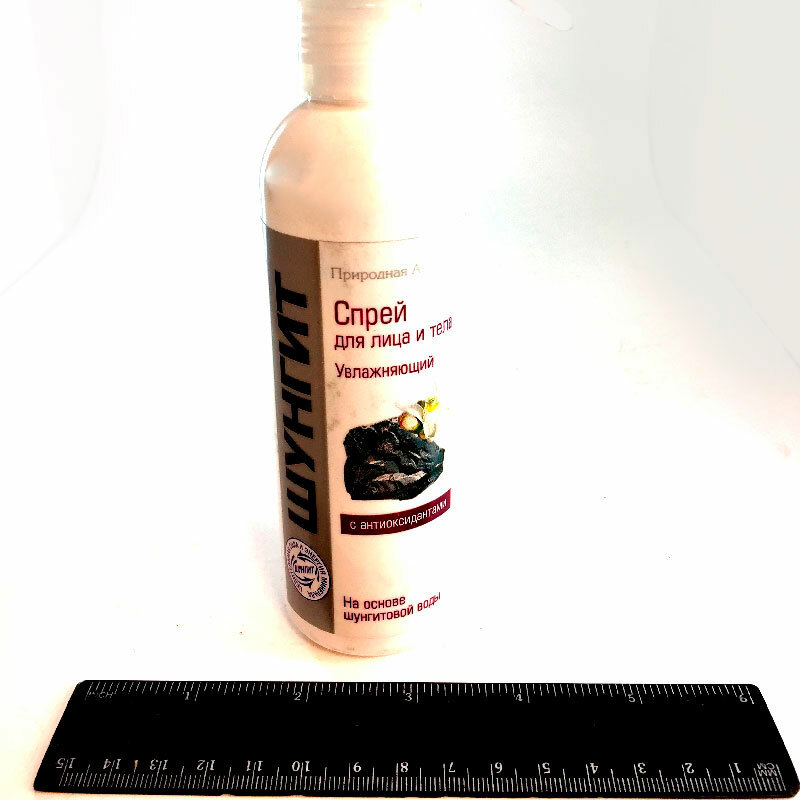 Moistening spray, made ​​on the basis of shungite water, replenishes moisture deficit, nourishes the skin with minerals and trace elements, improves the skin's natural immunity. Complex of natural antioxidants strengthens cell membranes, protecting them from the ravages of free radicals and prevents premature aging of the skin. Spray used for regular moisturizing in the summer and during the heating season, as well as moisturizing, rejuvenating agent before applying the cream.